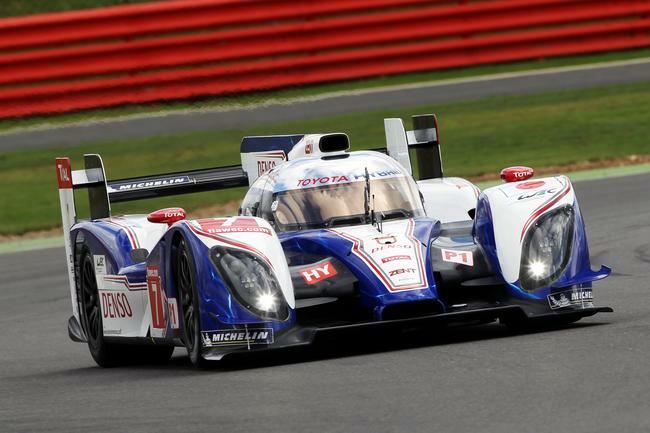 TOYOTA Racing begins its first full season in the FIA World Endurance Championship at the Six Hours of Silverstone this weekend aiming to continue its race-winning form from 2012. Despite competing in only six of the eight WEC rounds last season - five with only one car - the team won three races, including the final two events of the season. So TOYOTA Racing arrives at Silverstone, where it set a new LMP1 lap record last year, with reason to be confident at the start of an eight-race season which concludes in Bahrain on 30 November. With development of an updated TS030 HYBRID continuing at TOYOTA Motorsport GmbH (TMG) in Cologne, the team heads to Silverstone with two cars in 2012 specification. The updated car is planned to make its debut at Spa-Francorchamps next month. Alex Wurz and Nicolas Lapierre will share the #7 car, with Kazuki Nakajima starting the defence of his Super Formula (formerly Formula Nippon) title at Suzuka this weekend. Anthony Davidson, Stéphane Sarrazin and Sébastien Buemi are reunited in the #8 car for the first time since Le Mans last June. TOYOTA Racing is once again unique in using super capacitor technology in its hybrid powertrain. This fast charging/discharging technology delivers 300hp of boost under acceleration and was a key factor in last year’s race victories. Action at Silverstone begins on Friday with two 90-minute practice sessions (12.25-13.55 and 16.26-17.55) before a final one-hour session on Saturday morning (09.00-10.00). Qualifying takes place on Saturday afternoon (12.40-13.00) with the starting position for each car determined by the aggregate of two drivers’ two fastest laps. The race begins at 12.00 on Sunday.